Doors stand as protectors of our privacy. When we want to have fun conversations with friends inside without causing a disturbance, a door can be an ally. When we want some time alone in our bedrooms, the door will definitely be our friend. We can probably elaborate on other perks, but to be fair, we will also consider its downsides. One stark disadvantage of a typical door is that when opened, it may take up what could have been a good amount of space. In smaller houses, space is crucial and choosing space-eating items can spell a huge difference to appearance and comfort. Apparently, sliding doors, with their slim design and close adherence to adjoining walls, might just solve this problem! 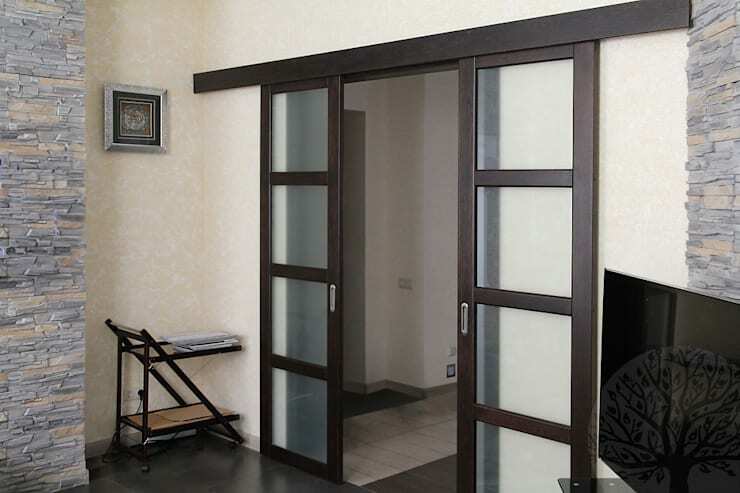 Read on to know more about sliding doors because yes, they come in different designs. Inspired by Filipino houses with that matriarchal touch, the wooden sliding door with a stained glass top is a classic choice. Not only does it mimic the regular swinging type, but it's smarter in terms of space. The fun part is choosing which pattern will work for you and the rest of your interior design. The example shown above has been styled with a matching wooden door post. This one has got wooden linings with a boxy detail. The glass panels are also translucent which is a great compromise between privacy and revealing a little bit just to differentiate from the wall. 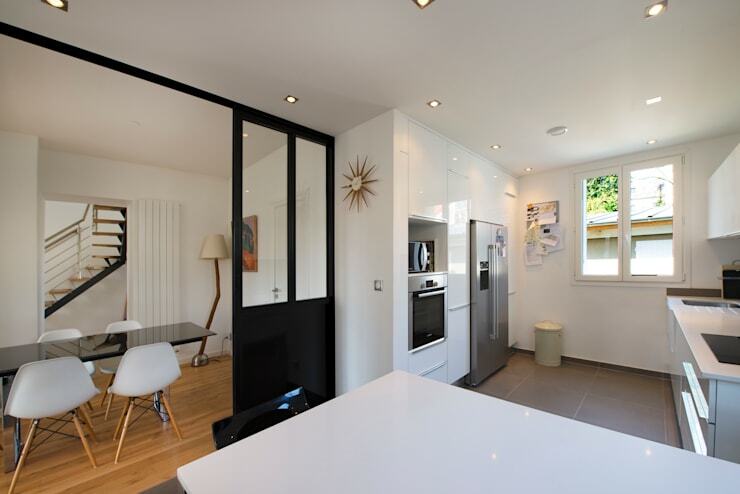 This design is a safe choice especially when you don't want your sliding doors to standout so much. 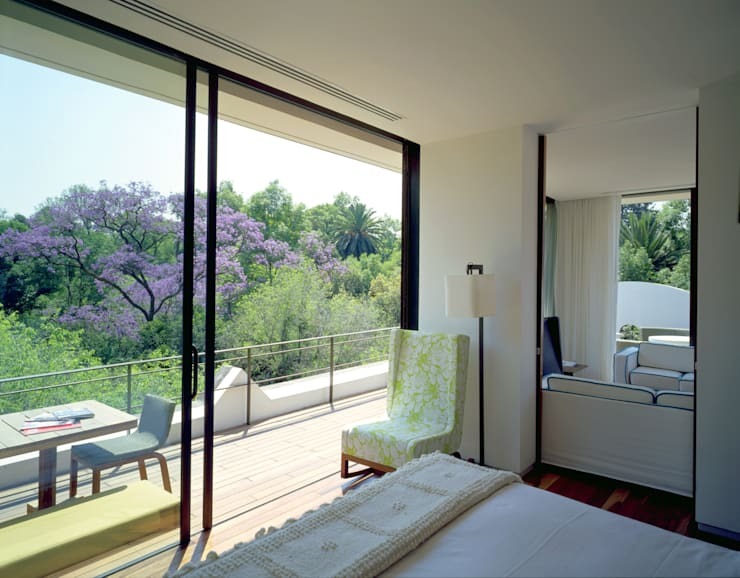 Glass sliding doors can also occupy an entire wall especially when you're aiming to have a picturesque view of the outdoors from your interiors. It's for those who also love the image of rain slowly dropping on the leaves but don't necessarily want to feel the cold wind accompanying that rain. The white wall and ceiling combo here also give a nice canvas against the colorful nature outside. Large terraces can also have sliding doors to open towards them. Imagine how that lessens foot traffic compared to having narrow swing-type doors. 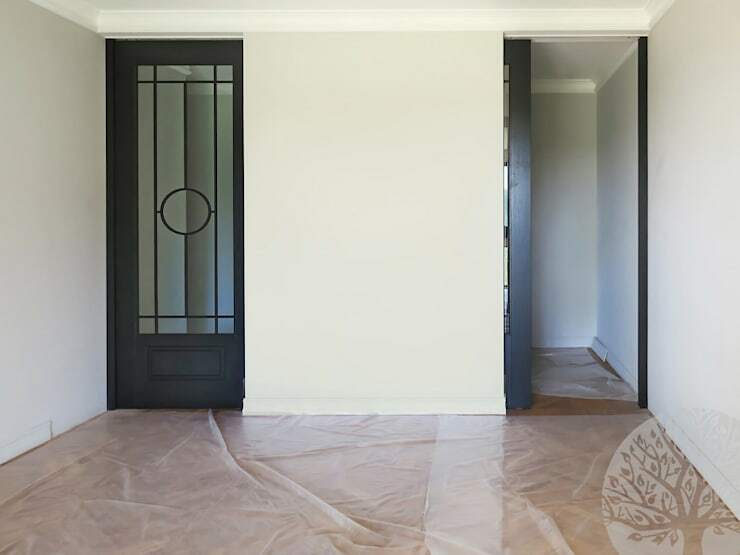 Even if you construct more of those swing-type doors, you'll be exhausting not just yourself but your door specialists from building one door after another. The sliding door is just a one shot deal that you can adjust later on depending on how wide you want it to open. 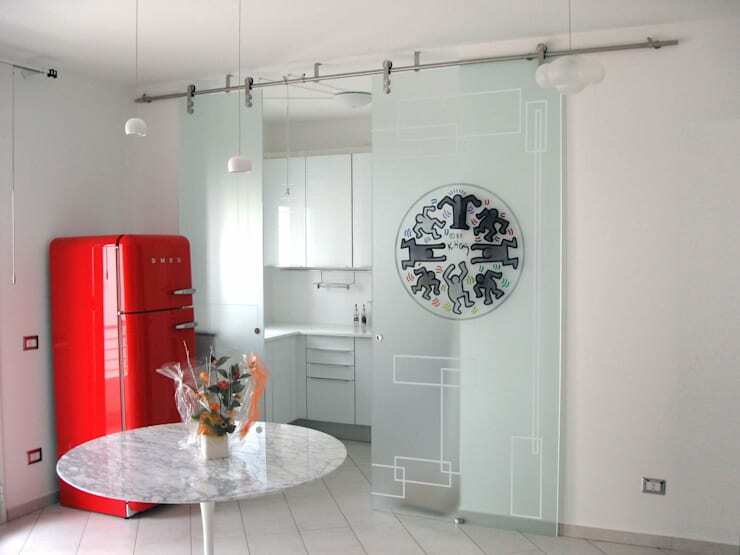 Unleash your creativity by choosing stencils as fun details on your sliding doors. This classy golden pattern sticks on top of partially frosted glass. The frosting here also gives a translucent to opaque effect that gives a bit of privacy. 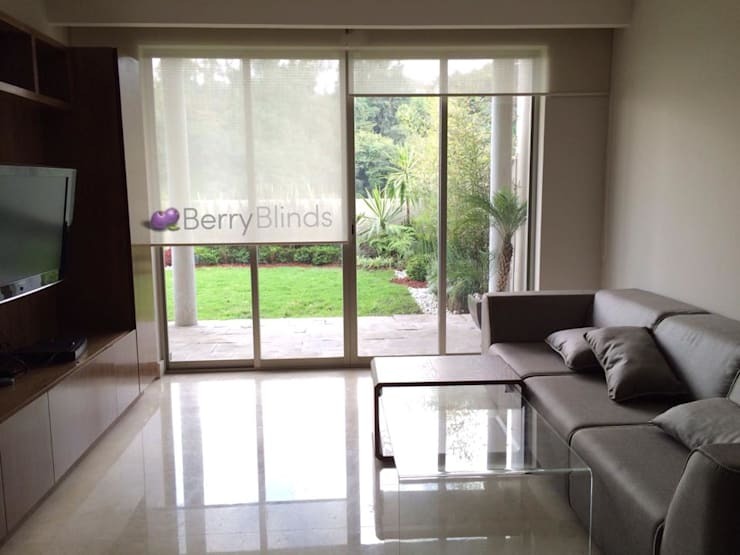 If the glare of the sun is just too harsh during the day or if you just want to block that light out because you're so in the zone with netflix, install blinds or rolling curtains over your sliding door. This a cool twist. 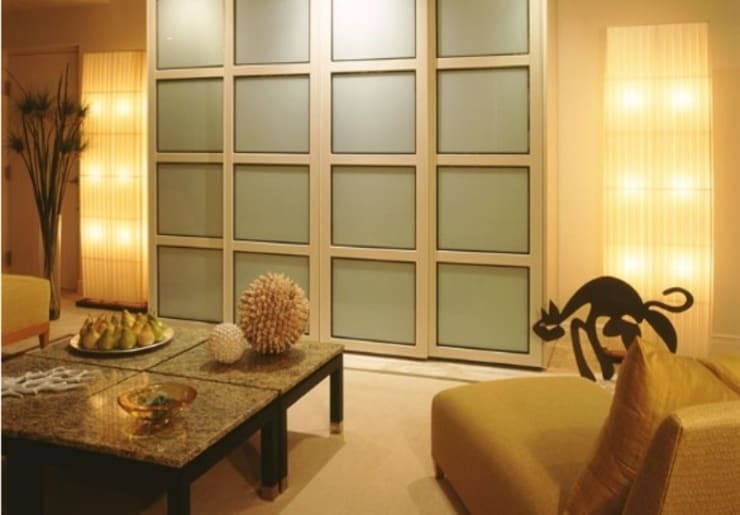 Part your similar sliding doors by placing them on opposite sides of a wall. Ideal for closet doors, these matted sliding doors provide the perfect coverage. Other than that, you can also choose which color you want as its panel. 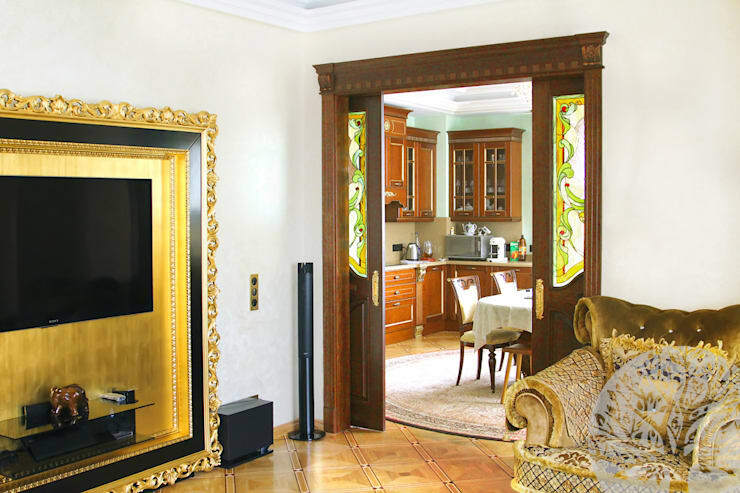 Of course this design could also be an innovative alternative to typical bedroom doors. Can you imagine other pastel colors on those square panels? The patterned matte sliding door works for the kitchen because sometimes, we just don't want prying eyes when we're cooking, right? The one featured here also blends nicely with the color of the interior plus its glass material exudes a modern vibe. This slim black framing on a clear glass screams industrial. Its combination with the wooden door post is also tres chic! Actually, the thin black framing also helps us not bump into the glass because they're just too darn invisible sometimes. 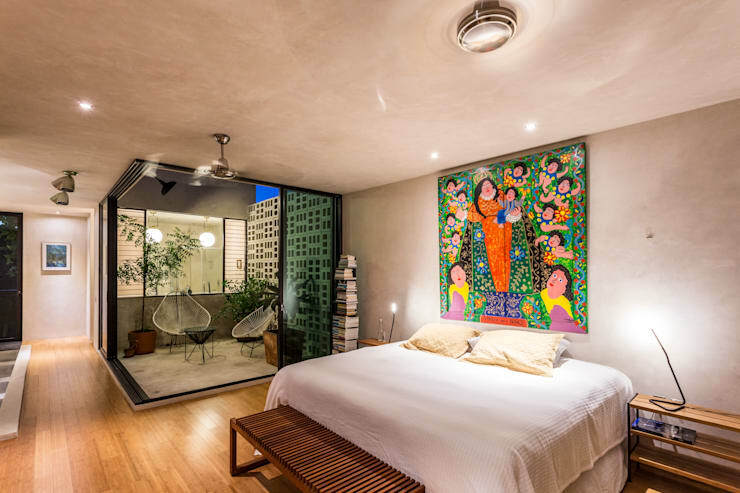 Channel modern sophistication with this mini courtyard within your bedroom! Here, the dainty sanctuary has been seamlessly separated from the rest of the space through its sliding door enclosure. Sliding doors separate space, like we've shown previously, but they also allow simultaneous interaction among people from whichever areas are being divided. Now that's poetic. 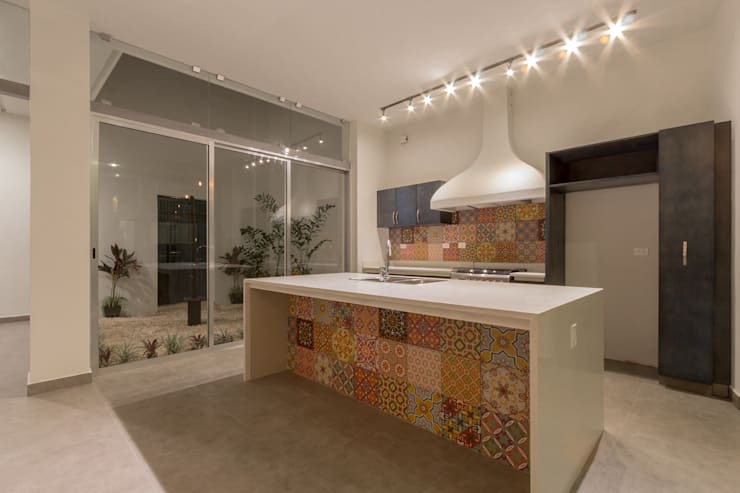 The metal frame on this one complements the minimalist design of the kitchen. The small indoor garden it encases also adds charm to the quirky yet modest space here. Don't you just love this kitchen? We do. The metal vertical bars as handles on this pair of sliding doors seem perfect for those aiming to open their bedrooms with a dramatic effect. Other than that, this frosted number is also translucent which is a smart way of keeping your bedroom private but at the same time keep those who are waiting for you by the couch updated on whether you've awaken and have started moving. Here's another space-savvy read: 19 smart ways to store your clothes.